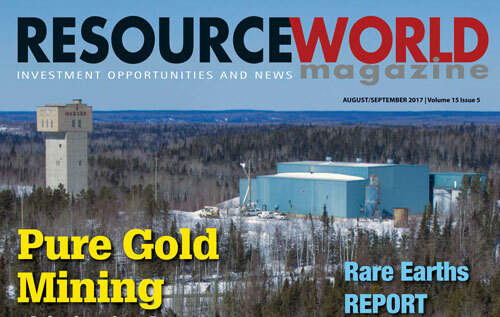 Walter Berukoff and Lion One Metals were featured in the August/September 2017 issue of Resource World Magazine. LION ONE METALS LTD. [LIO-TSXV;LOMLF-OTCQX] holds Fiji’s Tuvatu gold project, one of the highest-grade gold mining prospects in the world. Led by North Vancouver entrepreneur Walter Berukoff (with Red Lion Management and real estate interests, including First Quay Holdings), Lion One Metals plans to mine the yellow metal in the near future. Tuvatu, located on the edge of the Navilawa caldera, lies on the same structural lineament as the Vatukoula gold mine, near Nadi International Airport on Fiji’s main island of Viti Levu. A Fijian government ceremony in January 2016 marked the presentation of the mining lease permit for the go-ahead of the Tuvatu Mine, from Prime Minister Bainimarama. With a mining lease in place, the next steps for Lion One Metals include awarding contracts for construction of the processing plant and site infrastructure, and beginning to mine and stockpile gold before 2018.